Webmasters and bloggers can submit a disavow request and Google will automatically process that request and tag those links pointing at own mentioned site in the same manner as if they had the nofollow tag on them. On the other hand in other, as if they are not actually pointing at your site for link counting and analysis purposes as unique mandatory . Google has stressed that the tool is a last resort after you have exhausted all manual efforts to get bad links removed. Simply ,It can imagine that once Google disavows them that may even lose the good links and eventually own ranking may fall even further in near future. It is needed to take up the mammoth task of a backlink audit to see where are the toxic links coming in from and how you can get rid of them. i. Links coming in from poor quality/spammy sites . ii. Disproportionate anchor text links. iii. Links from blog networks. iv. Links from paid posts. vi. Links from dead & rotting directories. vii. Links from irrelevant & ‘untrustworthy’ sites. I am sure , your site will never hit by Google for having unnatural links if it will make comparative analysis with your top competitors each month (at least once). There are a number of SEO tools give evaluations for backlinks where free and premium version available. This is a premium backlink tool with a number of functionalities with proper indentification. In my view , Google Webmaster Tools may be the most effective and free backlinks research tool for bloggers and webmasters. This tool has paid and version which gives all every thing about backlinks to your site . It is a paid backlinks tool which offers Number of Links, Types of Links, Number of Unique referring domains, Most extensively used anchor texts, Domains directing the biggest number of links, New links ,Lost links and etc. i. You are an SEO or webmaster. ii. Your site has been penalized by Google. iii. You are working on recovering from the penalty. iv. For the same, you need them to remove the links. Then list the URLs of the links they send and the URL of your site they point to, and also the anchor text used for pointing to your site. If you are lucky, then you will get a reply and the link removed from those sites or it is your bad day for you then there will be no response/or there could be demand for payment for the link to be removed from their sites . At that stage, you must keep a record of all your correspondence details with every webmaster and attach that spreadsheet to the reconsideration request you send to Google for speedy action. It is better to take screen shots of the emails those are sent to the respective webmasters for removal request . i. Keep checking your link profile regularly. ii. Take care of the links from your own sites. iii. Update your anchor texts. iv. Aim for a varied backlinks profile by getting links from social media and high PR blogs, High PR forums, Youtube or video sites, and Question & Answers sites etc. 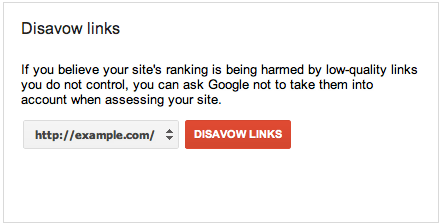 v. You should not use the disavow links tool unless you are absolutely sure that the links are negative. Even Google says and warns you when you use the tool. 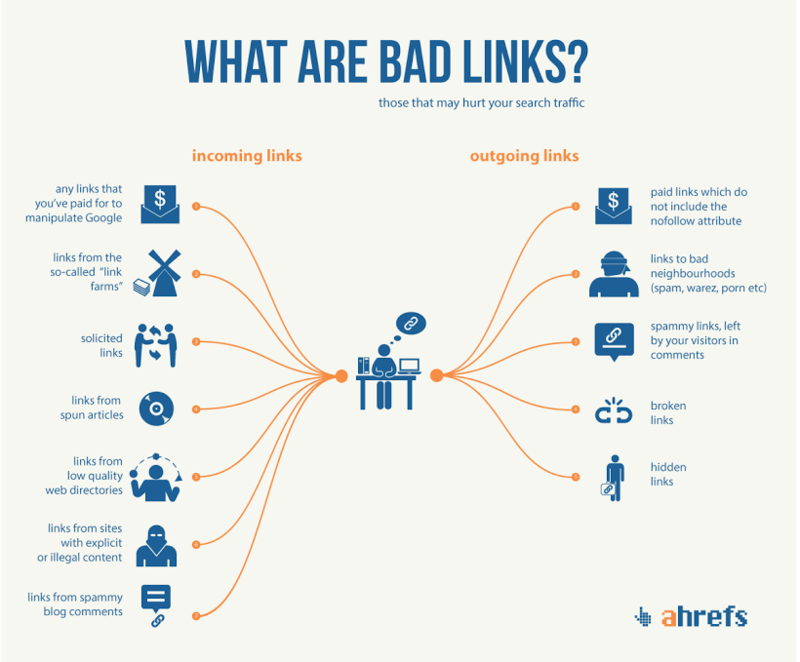 If you have done everything in your capacity for cleaning your site from bad links effect then it is not sure as you will get replace your previous position.Your site’s ranking was good prior to the Penguin and Panda because of these bad or unnatural links and now you are in the trouble mode because of them which is still uncertain when will be recovered . It is seen that the Google penalty has been removed even there is no guarantee that your site will get the same rank you were at earlier.Your site will now set new standards of traffic and with a clean links profile you can look for better ranking secured as doing nothing, however, It may leave your site subject to an algorithmic penalty in the future.